Time is a huge limiting factor in how much you can get done per day. Unfortunately, with the demands of work, family and friends, there is little time left for other necessary tasks. By necessary tasks, I specifically mean cleaning and as a result of this common problem, many cleaning machines have been been invented to make cleaning as quick as possible. However, there will be times when you will need more than a quick clean, especially if you have carpets in your home. Cleaning one’s carpets is a lengthy process, but thankfully, you don’t have to do it yourself. By hiring a professional carpet cleaner, you will be saving yourself the stress and hassle of having to clean your carpets on your own. The thorough cleaning of carpets can take hours if not an entire day. This may mean you lose a day of work or a day on your weekends. However, if you hire a carpet cleaner, you will save yourself the extra work and have time to relax. Another benefit of hiring a professional carpet cleaner is that they will clean your carpets better than you could! They have access to industrial strength cleaners that cost thousands of dollars and are far more effective than any machine you bought in a department store. A third benefit is that a professional carpet cleaner would be able to give you his/her professional advice on how to take the best care of your specific carpets and flooring. This type of advice is priceless. Lastly, you will save money since professional carpet cleaners will ensure that the job is done right the first time. You on the other hand may damage your carpets more than you clean them and have to purchase new carpets. 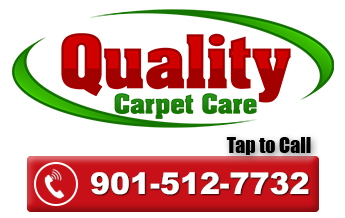 In summary, the benefits of hiring a professional carpet cleaner far out weigh the costs. You will save time and money, what more can you ask for?